When are Where is the Gospel Chorus Alumni Concert? How Much are Tickets to the Gospel Chorus Concert? Advance purchase tickets are available online for $25 (there is no online processing fee). Tickets will be $30/CASH ONLY at the door. Seating is general admission. 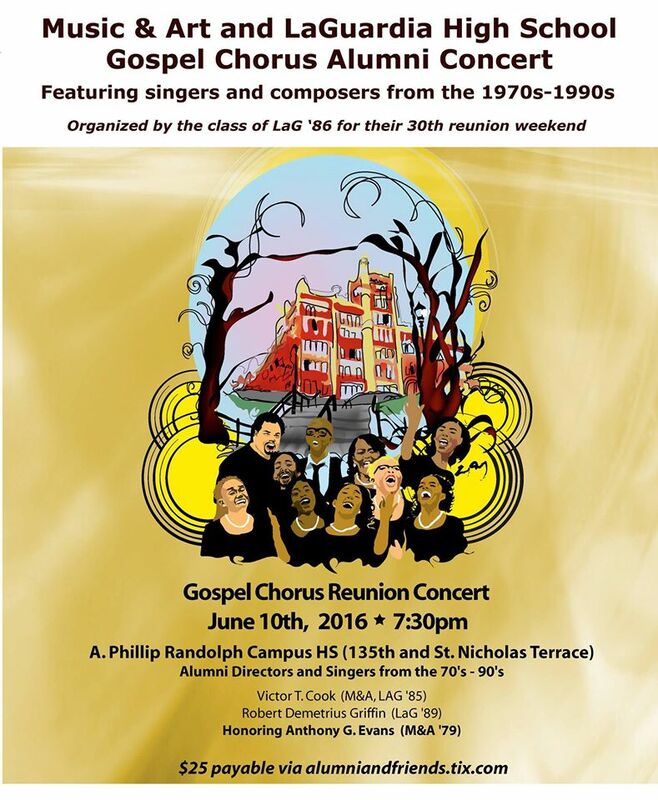 The Gospel Chorus Reunion Concert is open to the public so invite your friends and family! Yes! There will be a gourmet food truck coming to the event from 5-7:30pm, serving Mediterranean food (meat, chicken, vegetarian, gluten free options), all under $10. Pappi’s Mediterranean truck will be on St. Nicholas Terrace at 135th. Select items from the menu will be for sale. This historic gathering takes place where it all began — The Castle on the Hill — the original location of Music & Art. This will be a wonderful way for alums to reconnect, tour the old building, and celebrate the talent and greatness of Gospel Chorus and all who have contributed. The concert will feature singers and musicians who were part of the Music & Art/LaGuardia Gospel Chorus and have gone on to brilliant careers in the arts. Director Victor Trent Cook (“Three Mo’ Tenors,” M&A ’85) will take part in this epic concert and Robert Demetrius Griffin (LaG ’89) will be the Alumni Music Director and Choir Coordinator. 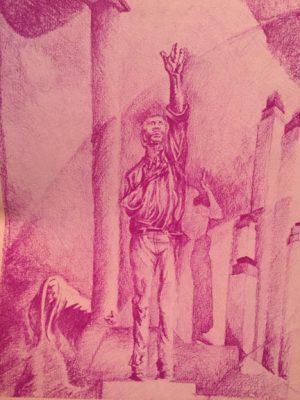 The concert will honor Anthony Evans (M&A ’79), who wrote the groundbreaking song “Never Alone” featured in the movie FAME while a student at Music & Art. This song, among many other favorites, will be performed. The evening will recognize noted directors, teachers, and students who have played a major part in creating this rich and lasting legacy. Please visit the Gospel Chorus Alumni Concert facebook event page.